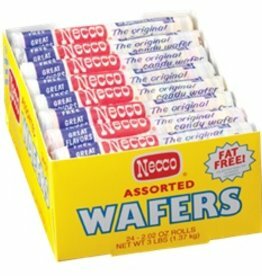 24 individually wrapped rolls of assorted Necco Wafers! Fresh, Delicious, and Fat Free! Just like when you were a kid! 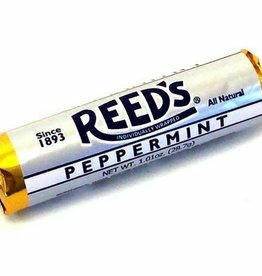 Reed's Peppermint Hard Candy Rolls, Since 1983. 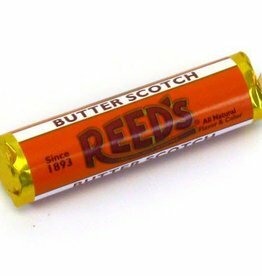 7 individually wrapped pieces. 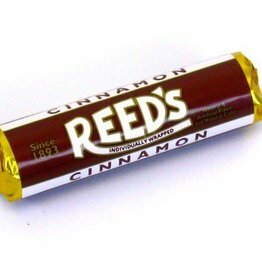 Reed's Cinnamon Hard Candy Rolls, Since 1983. 7 individually wrapped pieces. 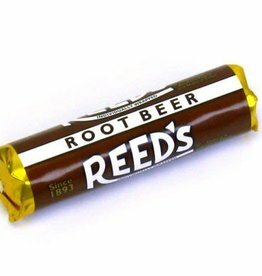 Reed's Root Beer Hard Candy Rolls, Since 1983. 7 individually wrapped pieces.